Why join Keller Williams? As the #1 real estate company for agent count in the world, there are many factors that contribute to agents choosing to join Keller Williams Realty. The top reasons are the top-notch real estate training and education, a family-like culture, the ability to build passive income through profit sharing and the proven real estate business model that teaches agents how to run a business the right way. Take advantage of all these amazing business building opportunities and join Keller Williams today! After watching these testimonials, are you still asking the question, “Why Join Keller Williams?” Then we need to hear from you! We’d love to share more in depth the top reasons you have to build your real estate career with Keller Williams. 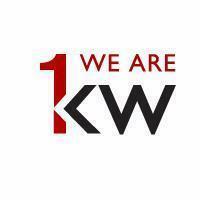 Our main goal is to get you from asking why join Keller Williams to why wouldn’t you join Keller Williams! Contact us today for your confidential interview to find out if KW is the right place to grow your real estate business.